I’ve been obsessed with vampires since I was around 5 or 6 years old. Watching vampire films, and asking my Dad to tell me about vampire lore. Most would think letting a 9 year old watch From Dusk till Dawn is in appropriate, how about a 7 year old watching Interview with a Vampire. My favorite television show as a teen was Buffy the Vampire Slayer, and yes I had already watched the classic Buffy the Vampire film with Kristy Swanson around 5 years old. But my favorite vampire film has always been Lost Boys. When Lost Boys, Buffy the Vampire Slayer, and Interview with a Vampire played at the Cinespia Hollywood Cemetery screening this past summer, I squealed with excitement. So what does my obsession with vampires, pre-flippn Twilight BS, have to do with music. Bastille’s “Bad Blood” is completely reminiscent of the title song in Lost Boys! And the fact Bastille’s song is called “Bad Blood” makes me think this isn’t just a coincidence*. I have a tendency to hear musical connections that others don’t always hear. 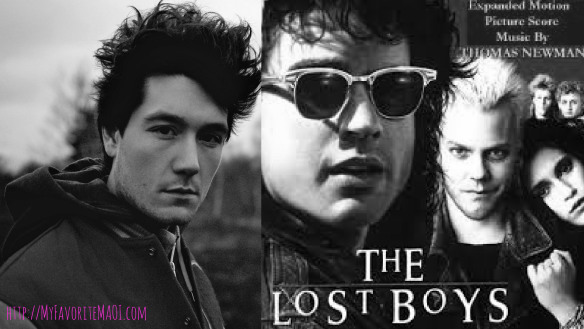 The musical connection is not obvious, and it’s not like I’m saying Bastille’s Bad Blood is exactly like the Lost Boy’s “Cry Little Sister” by G Tom Mac. BUT they definitely both used some cinnamon in their songs, if you get my random cooking metaphor. Listen below and tell me what you think. p.s. Lost Boys came out the same year I was born, so I was born with Vampire love in my blood! *I admit that’s a bit of a reach.